­There is this new debate going on about whether the deposit return scheme for plastic bottles would work in Britain or not. While some people want this scheme to be implemented but others are of the opinion that it would never work. But the real question is, why wouldn’t Britain implement such a scheme if it is able to send approx. 4 million containers a week to the recycling facilities rather than to landfill sites? Let’s first discuss what the program is and how would it work. A deposit return scheme of plastic bottles means that when you are shopping, you will pay a little extra amount on each and every bottle purchased. This amount will be refunded when the bottle will be returned to a specific location for recycling. This is not a bad incentive for general public as it gives them the motivation to recycle plastic bottles rather than just simply throw them away in the trash. This isn’t just random talk but proven mechanism to increase recycling rates. Such programs are already being implemented in at least 12 countries like Sweden, Denmark, Australia and Germany. In these countries, percentage of plastic bottles recycled goes up to 99 percent as compared to Britain’s paltry 50 percent. British people still are not convinced yet with few authorities calling this deposit return scheme a distraction. But in all this debate, people are missing the actual point. While there is agreement on ensuring proper disposal of trash and having a deposit return scheme is better than not but the actual point is that single-use plastic beverage containers should not even exist. Solutions should be looked upon on how to eliminate them entirely rather than arguing where to send them. The main problem that exists with recycling plastics is that it isn’t a straightforward process. 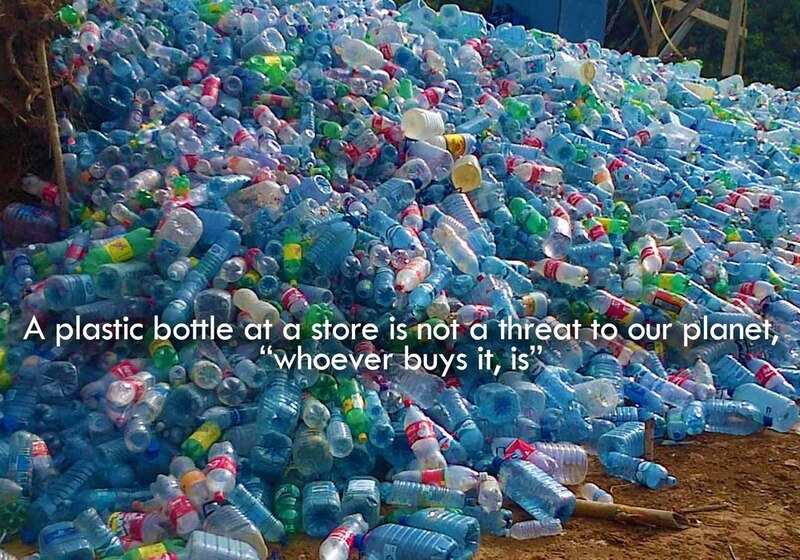 Plastic is always recycled into a lesser version of itself every time it is processed. This means that a plastic bottle will be recycled into another plastic bottle or it might become something else down the road. But at some point, all such items will not be recyclable anymore and will go landfill sites anyway. In short, improving recycling rates for plastic bottles is not the ultimate solution to the problem. A deposit return scheme has its advantages and could be pursued. But the real debate should be on how to eliminate such items from the waste stream. That would be the only way on how we actually save the environment. And what about reverting back to refillable glass bottles? It is something that can be recycled almost infinitely without ever degrading and one that makes more sense environmentally. All such things encourage a healthy debate and as long as the aim is protecting the environment, these debates should go on until a feasible solution is reached. If you are looking to recycle your old computers or any other IT related equipment, contact Eco Green IT Recycling for professional recycling services. Our recycling and disposal services are available all over the UK so you just need to give us a call and our representatives will be at your doorstep.